Purveyors of fine wine, hand pulled ales & a daily changing menu full of the finest and freshest produce. 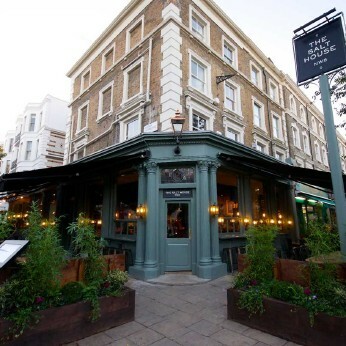 The Salt House is one of the warm & welcoming gems of North London. We are a favourite amongst our Abbey Road neighbourhood, London foodies, & visitors from further afield. You may even spot a famous face or two. We cater for a mixture of occasions; you’re just as likely to see a family gathering for Sunday lunch as you are a group of friends meeting up for Friday night drinks in the bar. Our grand private dining room can fit up to 18 people for a sit down feast or 35 for nibbles and drinks. Ideal for birthdays, wedding receptions, or general get-togethers, we can organise a party tailored specifically to your needs. The Salt House heated patio provides the perfect spot for some alfresco dining most of the year round.